Project Details: Here is another great example of our Integrity Series Stall system. The Integrity series is the perfect cost effective way to outfit a new barn or to spruce up an existing barn. This barn was finished up just in time to bring the horses home this spring. So if you have a Post and Beam style barn and would like to make some upgrades like this for a Spring time face lift just give us a call! After all, There is nothing like a Classic. 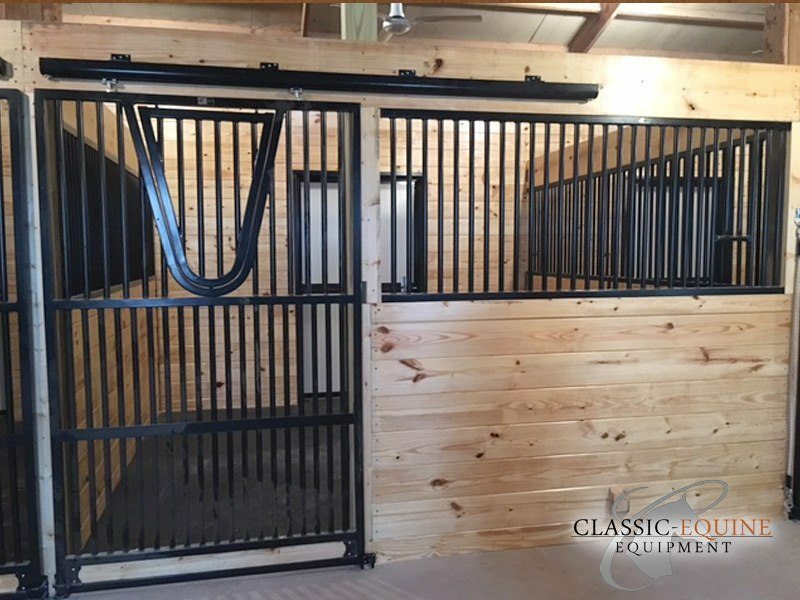 Product Specs: The Integrity Series stall front has the versatility needed for any barn renovation. This value engineered front is manufactured to fit all barn project budgets. This particular barn went the extra mile and selected full grill doors with a yoke opening. The removable yoke fill piece is a great addition as it gives you the option for the horse to be social. 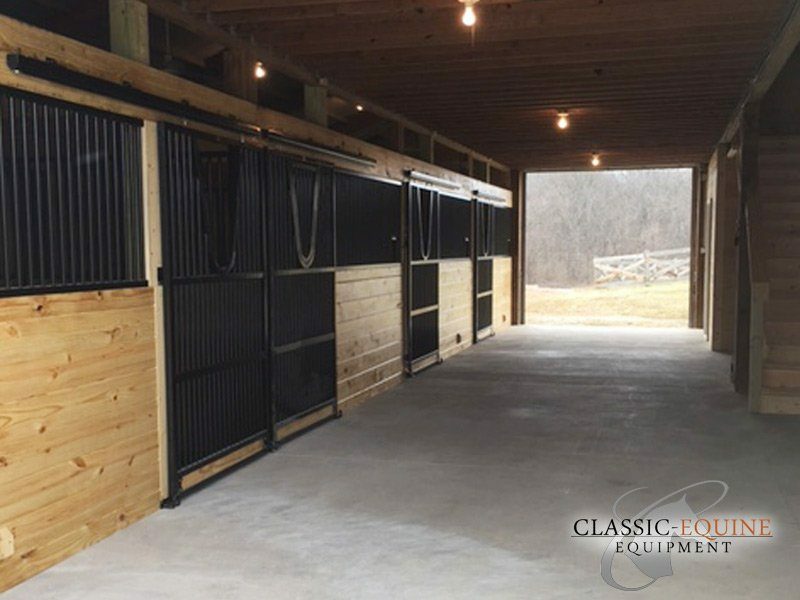 Classic Equine Equipment was honored to have been a part of this local barn renovation.